You can enjoy many activities at imaginExtreme Barcelona such as an Open Park, a cable to test wakeboard and the RiftAnalyst Cup of eSports. 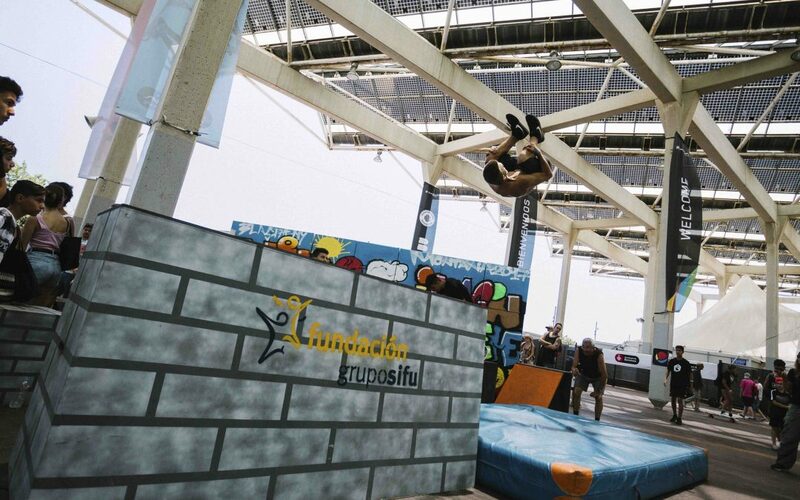 This festival that will take place on June 16 and 17 in the Parc del Fòrum wants to continue offering new experiences and there are organized many parallel activities at imaginExtreme Barcelona, in addition to the sports competitions, to enjoy all day long. From Open Parks and the possibility of practicing other sports to music and foodtrucks. In addition, this year an eSports competition has been organized and you can play League of Legends on computers that we will have prepared next to the RiftAnalyst Arena. This year, as in other editions, an Open Park has been created so that everyone of you can practice with the scooter and BMX in a unique place. Next to this park there will be the Kids Scooter Park, an area reserved for children to practice with their scooter powered by Bestial Wolf. The local scooter brand will have a space on the side where you can buy and customize the scooter throughout the weekend. In addition, in ​​the photovoltaic plate is being organized a longboard activity to practice slalom and slides. In the water area you can practice wakeboard on one of the two cables that will be opened so that everyone can try this sport at no cost next to where the pros will compete. In the same area there will be a space dedicated to the bath that will be close to the Rockzone stage and an area to relax and rest in the shade. Finally, at the Chill Plaza near the entrance to the enclosure, different urban lifestyle activities such as slackline, parkour and mini ramp will be performed, and you can enjoy an urban art area as well. In addition, between Central Park and Street Park you can rest and regain strength buying food in the foodtrucks and update your closet in the market with stores of the sector. As we have already announced, this year for the first time the RiftAnalyst Cup is organized, within the framework of the new Storm Circuit. This first stop is organized by Fluendo, the developer of RiftAnalyst that created the first full analysis tool of League of Legends (Lol). Next to the RiftAnalyst Arena there will also be an area with 10 computers to play alongside the players participating in this competition. The RiftAnalyst Cup Arena will be at the entrance of the imaginExtreme Barcelona venue and will have a capacity for 500 spectators. In this first edition 210 teams of 5 people each were registered to participate in the online tournament in May. From this online qualifier will come the 8 teams that will travel to the final in Barcelona and we will know who the 3 best teams in the RiftAnalyst Cup are. Buy your entry now and enjoy the frenetic activity of the imaginExtreme Barcelona 2018.